Born & bred in Rugby and have lived here most of my life. At 22 years old, I moved to Birmingham where I set up & ran my own busy nightclub. Tired of working late nights, I returned to Rugby to start a family and had my little girl in 2009. I spent 2 years as a stay at home mummy and began my career in the property industry in 2011 working as a Lettings Negotiator for a lettings company in Rugby. 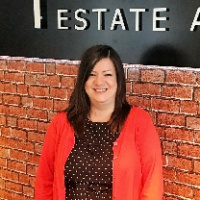 While working there, I gained experience in all aspects of the Lettings industry, wanting to progress my career in the industry I moved over to Coventry as Property Manager, then progressed in to HR & Finance within 3 years. I joined Complete as Property Manager February 2017... I enjoy travel, cooking and socialising in my spare time.